I do Santa perfectly. My Easter Bunny performance is stellar. But blast this Tooth Fairy thing. I'm flunking. When Lance lost his first tooth I promptly got out my camera and took at least a dozen pictures. I had him brush it up shiny for the tooth fairy. I giggled when Alan and I snuck eagerly into his room to replace the tooth with a few coins during the late night hours. Lost tooth #2: No pictures. Remembered at the last minute before bed to go under his pillow and make the exchange. Tooth #3: Woke up in a panic in the middle of the night that I had forgotten to put money under his pillow. Dragged myself out of bed to attend to my fairy duty. 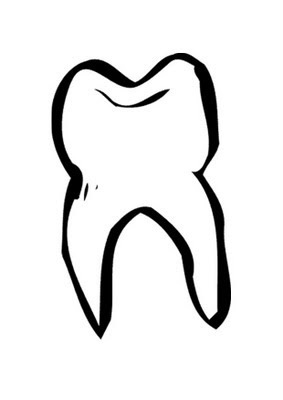 Tooth #4: (growing disenchanted with the tooth ritual now) Woke up in a panic during the middle of the night again, but this time woke up Alan to go put the money under his pillow. Tooth #5: Completely forgot. Lance woke me up at 6am, tooth in hand, very disappointed that the tooth fairy didn't come. Thinking as fast as I could at 6am, I told him that he probably didn't look hard enough. I hid a few bills in my fist and went to "look" with him. As we searched I explained to him that I had left a note for the tooth fairy to leave me his tooth because I wanted to save it. I discreetly put the bills in his pillowcase which he was very relieved to soon find. Tooth #6: I didn't even see this one coming. The fairy wasn't financially prepared for a tooth loss that day. Alan went out on a diaper run at 10pm and went by the atm as he was out and got out the smallest bill denomination he could - $10. I searched for Lance's tooth but couldn't find it. I thought that he must have forgotten to put it under his pillow. I woke up at 6am to Lance marching in my room to dutifully place his tooth on my dresser (thankfully, he was still under the assumption that my last note to the fairy was still in effect) and proudly waved his $10 bill at us. He then started trying to wiggle another tooth out, seeing the trend that each tooth lost equalled a bigger payout. Who decided that all of these characters had to come in the middle of the night anyway? I think that I would be much more successful if the tooth fairy came during lunch time or something. And do you know how many baby teeth there are -- 20! With 5 children that equals 100 of these crazy nightime rituals for me. I'm destined for failure (and the poor house). Darn that tooth fairy.